Posted on 2017-05-29 04:33:55 GMT+0000 by Neil Godfrey. This entry was posted in Paul and His Letters and tagged Historicity of Jesus, Paul and his letters. Bookmark the permalink. Likewise I find that the several excuses offered by those who believe that there was an Historical Jesus for Paul’s silence regarding references to his words and deeds to be unpersuasive. The simplest and most direct explanation I can think of is that there were no words and deeds to reference. Historical Jesus is not substantiated — based on currently available evidence. At this time, it is not possible to prove Historical Jesus to those who are appropriately skeptical, nor can Historical Jesus be disproved to the overly credulous. Faith (i.e., chosen belief) is paramount on both sides. I think Jesus Myth Theory is plausible but not compelling. “The whole truth” might very well be yet unfathomed. I am not a scholar, but I have had a curiosity about Christian origins since I was a high school student in the 1960s, and I have increased my research, as a hobbyist, in recent years. That’s why I now follow Vridar. Welcome, Al. I hope you will find that here on Vridar there will be a wide range of information that pertains directly and indirectly to the nature of early Christianity and Christians origins. I also have a strong interest in understanding how we come to believe things we believe more generally — and that includes politically, through mass media and other institutions. Sample the pieces that interest you. Tolerate the rest. Al, how do you conceive of the “Jesus Myth Theory”? There are many nuanced takes on that. I understand the term to be a catch-all for alternative theories on how Christianity might have arisen or evolved in the absence of an historical, terrestrial Jesus (or other person or persons). Not all scholars conveniently labeled as Mythicist necessarily claim that “Jesus” is derived from a mythical, celestial Jesus. (I have in mind Rene Salm and Thomas Brodie.) Richard Carrier’s thesis in “On the Historicity of Jesus” is my idea of a good example of literal Mythicism. Forgive me, but I am not very well read in this area. I probably should have used the term, “Christ Myth Theory,” which is the title of the relevant Wikipedia article. I am very aware of how impossible it is to get consensus on recent and even contemporary events, so how can we hope to ascertain how Christianity actually began or evolved? A few days ago I stumbled upon a article about Bach’s famous organ work, Toccata and Fugue in D Minor, and was amazed over the wide variety of wildly contradictory assessments and opinions about it over the years. Even today, the thinking is nowhere near settled as to who wrote it and when, as well as other questions as to how the version we now have got here. This is a good reminder to me to be humble in my thinking and speculations about Christian origins. Extremism is in the positioning of the threshold between mythicism and historicity as a high bar for whichever position you hold while not actually knowing what the threshold actually is. The interest of faith is always to maintain its untarnished perfection, but the facts could never bear that out. A faith based purely on the scraps of facts available would not meet the needs of any faithful person. The best way of understanding mythicism is to recognize the real historical basis of certain mythic figures and the legendary nature of people who may have existed. An extreme mythicist would want to stamp out every reference to Joseph Bell in the study of Sherlock Holmes or any reference to Robehod or Rabunhod in the study of Robin Hood. On the other hand an extreme historicist can do nothing but exaggerate and fabricate lies. Out of these two sorts of character the mythicist is more trustworthy, since the amount of evidence to start with is paltry and most people are already ignorant of it anyway, but the historicist has no bounds whatsoever on the grandiosity of his lies. I would take it for granted that the Gospel writers had literally no more to work with than what we have now. That passage purports to tell us why Paul did not talk about the life of Jesus when he was actually with the Corinthians in person — he is not explaining why he does not talk about J’s life in any of his letters. And we know from his letters that he clearly did write about more than just “Jesus Christ and him crucified”. but the point being pre-exilic judaism (mythical?) didn’t need an afterlife. They had descendants. They had the native tribe for personal justice and had their own bailiwick for national justice. Paul’s cosmopolitan Septuagint (Messach= Xristos) Judaism has folks living widely outside a homeland that is itself flooded pagan influences. Then and there, personal justice has no pertinent support and national justice is in the hands of others. So, a salvific philosophy has an appeal to alienated “ethnics”. (An atheist should realize ya don’t need an afterlife, ya probably already got one. Mythicists sometimes make a big deal about the fact that there is little about Jesus’ biography in Paul’s writing. But there may be good reason for this. Paul wasn’t elaborating on Jesus’ biography because he was trying to get his reader to focus and stay on message about Paul’s gospel. Mark does depict Jesus as wittily and plausibly disputing halakha with experts, but even if he had a general teaching or approach to practical matters, it was addressed to a Jewish public living under torah. Nothing in it would be relevant to Paul’s strange Noahides. Paul’s ethical teaching for them is evidently boilerplate Pharisaism – basically the same as what the rabbis later give as their ethics for gentiles. There’s really nothing to be said to gentiles, as far I can see, that Paul isn’t saying. Moderns feel a need for further material if they were brought up on Matthew and Luke, which are clearly serving a function that only arose later. The seeming absence or lack in Paul is a specifically Christian projection generated by the later gospels. But Matthew and Luke are secondary literature – avowedly in the case of Luke – and don’t have anything to do with the inference to a historical Jesus. Paul and Mark are the primary texts. You think there is something in the Hebrew Scriptures that predicted the Messiah would be a celestial being who would be crucified in outer space? No, the idea of a supra terrestrial crucifixion seems really desperate doesn’t it? Everyone knows who crucifies people in Asia Minor and the Levant, and even what it looks like. Mythicism does not require that Jesus originate first as a celestial being, only that Jesus is a character in fictional writing, and that character may or may not have drawn on truths (multiple real persons) just as any fictional character would. Furthermore, without the writings of any Christians before Paul, it is impossible to dismiss what they may have believed/preached based on what Paul wrote of them. Criticizing your adversary, especially when your adversary is not able to defend themselves, opens up all opportunities for mischaracterization and outright lies. 1. On the one hand, it is argued that Jesus’ atoning death as a celestial being was discovered through an allegorical reading of the Hebrew scriptures, as per (supposedly) 1 Corinthians 15:3-4. His biography was later invented through haggadic midrash/mimesis out of literary sources. 2. Another possibility is that the original Christians discovered the crucified, atoning, celestial Christ through visions/hallucinations. His biography was later invented through haggadic midrash/mimesis out of literary sources. I would take “The First Christians Lied” as an irrelevant truism. If you had a vision or you “discovered” something in another book which also contained lies, you’re still lying. The real point of mythicism is that the character Jesus cannot be the same person as any real person who lived historically even if the character is based on parts of multiple real persons. We have all kinds of precedent for legendary/mythological characters. People often get caught up in the Christian narrative, but for Christians not only was Jesus one specific real person, but he did all the impossible things too. The middle ground between mythicism and historicity is actually more desperate than either of the other positions because it depends entirely on the Christian narrative which doesn’t offer any leeway on Jesus being “just a man”. After you put the word “noble” in front of the word lie, then it isn’t a truism anymore, but there isn’t a reasonable argument that the first Christians were eyewitnesses to real miracles. We can’t lose sight of the fact that the Jesus we argue against isn’t the wise man from the Gospel of Thomas. The more likely explanation, I think, for the transfer literal/historicist interpretation of the gospel narratives, or especially of Mark, is the one that historicist Spong (via Goulder?) and mythicist Doherty and others in both camps have also argued: that symbolic tales were misunderstood and interpreted literally at some point. Secret Mark, if we accept its authenticity, lends further support for this possibility. It is, furthermore, evident that the author of Mark was consciously writing a symbolic narrative (the gospel makes no sense at so many points if read as history) and subsequent evangelists clearly did not consider Mark’s gospel to be reliable history because they felt quite free to make major changes to it for evidently theological reasons. I can’t look at early Christianity as being no different than modern Christianity or any other cult we know of from history. The missing pieces from before Paul that eventually coalesced into Mark and what came after represent the main body of what is the Christian religion. We see Paul appearing to us first as a conservative agent, but what that means is that Christianity was “threatened” or possibly in decline and losing members, but before that threat there was no feeling that Christianity was threatened or needed to be conserved. Paul could not have changed Christianity, only enforced what he saw as already the orthodoxy. That means James was not the orthodoxy, and certainly could not have been since he represents the Jewish faction and the Jews would have been increasingly considered separate. The Gospels continue this tension. This tension towards Jewishness is what is unique to early Christianity which was later lost. Whatever conservative force was before Paul came along was inadequate and that is why so little of them remains. Christianity gets its nature from Paul and why Paul is important to Christianity. Darth, the “middle ground” you propose is in fact a standard historicist reconstruction that Mack developed and that goes back to Bultmann in some form and is picked up by Wilson as you note. Mainstream critical scholars (as opposed to apologists) don’t dispute the mythical overlay of the gospels or that Paul’s theology was essentially ahistorical. The view that the author of the first gospel combined the theology/”Christ” myth of Paul with the Palestinian Q community’s narrative is a respected thesis within the mainstream of critical scholars. Revelation speaks of a Lamb slain in heaven. Hebrews speaks of earthly rituals being shadows of the heavenly. Enoch speaks of the messiah as a heavenly being. I would have expected some long time visitors to this blog to be more aware of the relevant evidence and arguments and to address the arguments and evidence rather than continue to repeat the blissful ignorance of those who preferred to scoff at radical criticism rather than engage with it. Where does it say where the Lamb was slain? He appears in 5:6 *hos esphagmenon*, ‘as if slaughtered’, no telling where he was slaughtered. The image is of course characteristically cryptic and maddening since in fact a lamb that looks as if it has been slaughtered looks as if it is dead. The reader is supposed to decode somehow. Jewish pre-existence christologies (to use Christian language) are a dime a dozen before and after Christianity. The Baal Shem Tov met the Messiah in his heavenly Palace, but of course asked him ‘When will you come?’ This is not a Celestial Christ theory, but a standard-issue will-be-a-historical-christ theory. That the messiah pre-exists is especially unsurprising since the Baal Shem Tov will also have thought, like his co-religionists, that souls pre-exist – at least those of all Israel do, since they were all present at Sinai, and so on with the usual pious stuff. Revelation 13:8 — the lamb is definitely slain. Sacrifices at the foundation of new projects, buildings, etc have their heavenly counterpart here in Revelation. Blood can be offered in the heavenly altar. The heavens were places of all sorts of things that were reflected materially on earth, including physical violence. None of this is controversial. It’s simply a matter of record in our sources. It seems you are blinkered by just one narrow (and I think quite late) Jewish viewpoint and not aware of the wide range of Second Temple literature. I certainly have no idea what relevance Baal Shem Tov has to Second Temple ideas. The lamb is slain of course. The question was where or when. Some sort of obscure ‘predestinationism’ is built into this sort of 2nd T apocalyptic and its descendants. If what I am permitted to see in my vision belongs to the future, it’s in some sense already there. “You’re just making it up” It is enough to say that on standard rabbinical views all souls pre-exist. This is presumably a pharisaical inheritance. It follows that a Davidic messiah pre-exists. The view was rejected by developed gentile Christianity, though it was explicitly held early on, and is systematically expounded e.g. by Origen. A preexistent messiah was retained for obvious reasons. The seeming absence or lack in Paul is a specifically Christian projection generated by the later gospels. Excellent point. Paul’s Christ is a heavenly being, a spirit, who unites believers into a new community. He isn’t a spirit, he is the ‘first fruits of the resurrection’ and *no different in character from your grandmother on the resurrection day*. But it is quite plain that she existed physically. Paul says that if it hasn’t happened with him, there’s no hope for *the exact same thing* happening to her. Paul couldn’t be more emphatic on the point in 1 Cor 15. Maybe he was hoodwinked by the twelve into believing in a historical Jesus. What the character of your grandmother on the resurrection day might be, metaphysically speaking, is left more than a little obscure. Paul’s view is presumably cut and pasted from standard Pharisaical teaching. For Paul flesh and blood could not inherit the kingdom of God. Paul is very clear in the chapter you cite that Christ’s body is spirit and cannot be flesh. It is a ‘pneumatikon/spiritish’ body, not a ‘psuchikon/soulish’ body – else it would be corruptible, death-tending, etc. But it is body, body, body. Those living at the time will be changed, not replaced. The relation of dead to living is like seed to plant. The change is also compared to a clothing of the old body. There is no reason to think Paul ever departs from standard pharisaism about the resurrection or even modifies it; he is rather the best evidence for mid 1st c pharisaical views. Wherever anybody bothers to think about the resurrected in the Jewish tradition, it is affirmed that the bodies will be different, but that they will be real bodies, even somehow the same bodies but different. But this metaphysical nonsense distracts from the only important point here. This is the violence with which Paul affirms that *the process Jesus underwent* is *a process your grandmother will undergo*, and no other process, and that that’s the whole point of crucifixion and resurrection. The process presupposes a flesh and blood or ‘psychic/soulish’ body, which Paul here affirms Jesus possessed. Bodies could be spirit as well as flesh. Spirit bodies could eat, dress, feel pain, — depending on the fancy of the author in each case. You appear to have read a lot of apologetic literature and are not very familiar with the more critical arguments and wider range of evidence pertaining to these topics. I have never read a page of apologetic literature; my religious background is not Christian at all, nor is my present belief. I would have thought this was obvious from the examples used. That you are projecting this on to me is at the basis of your refusal to read what is written above. The principal opposition in 1 Cor. 15 is between psuchikon bodies and pneumatikon bodies. The latter you insist on translating ‘spiritual bodies’, which is fine it’s just a word — except for the excessive familiarity of ‘spiritual’, which carries various suggestions for some of us and leads us to put an interpretation on it. It might as well be ‘aerie’ or ‘quintessential’ or ‘breathy’. Structural features of the passage should rather be attended to, not choice of translation and associated imagery. He says we *now* posses ‘psychic bodies’, which you should try translating literally as ‘soul bodies’. Then you’d see how little the suggestion put into your mind by your translation of the parallel term above (‘spirit bodies’) has anything to do with the matter at hand. Viewed structurally, the passage considers two properties a *single* body can possess successively, one associated with mortality, the other is somehow intrinsically immortal. The movement between them is *allassō* a very ordinary word for change or alteration, cooling and warming are allassō (see eg http://www.perseus.tufts.edu/hopper/morph?l=a)lla/ssw) . He does indeed speak of a body that still has the former ‘soul’ property as ‘flesh and blood.’ Again, the familiarity of that expressions is irrelevant. He basically uses the expression to mean ‘with the inner property of mortality’. It is just a word for the character our bodies possess now, and in virtue of which we die. His way of framing the opposition (pneuma v. psuchē) seems to be chosen because of peculiarities of the view that arose in Corinth, which presumably turned on considerations about psuchē read in accordance with some hellenistic apriori. I’m not sure. In any case *the same body* has first one then the other property. (See esp. 15:51-2) The former bodies still have some quality that leads to mortality; the latter lack this deathward quality. Jesus’ body is supposed once to have had the former property, since only then would it have the property of mortality and only thus could he die. only they contains the seeds of mortality etc. He thinks however that *Jesus did die*. In other words, the whole passage presupposes that Jesus had a ‘soul body’ like your grandmother, or equivalently a ‘flesh and blood’ existence – which is to say a ‘historical existence. What is key to understanding the texts that the “first fruits,” obviously, are of the same group as the rest of the harvest. I apologize for thinking you were basing your argument on apologist literature. I have read your words and tried to understand them, but am open to being shown that I still have misunderstood you. What I said about bodies in the afterlife comes partly from Riley’s study into the words and concepts in his “Resurrection Reconsidered”. Ancients did not think of spirit bodies as being totally without substance, airy, etc as we tend to do today. Even eternal spirit bodies had “material substance” but not corruptible “material substance”. That sounds like a contradiction to us but that’s how they thought then in a pre-scientific age. Paul’s entire discussion in 1 Corinthians only works if Jesus did not have a physical, corruptible human body like Adam’s. His whole point is to contrast the first earthly Adam with the second heavenly Adam. There is no inbetween state. We have to keep in mind that in most translations the verbs are supplied in that chapter by translators and are not in the original key passages. The meaning changes considerably when we remove the translators’ interpretations. I’m also not so sure we can be confident Paul was espousing the ideas of the Pharisees according to Josephus’s portrayal, by the way. That needs to be demonstrated, not assumed, and the evidence as I understand it is very problematic. And Origen’s ideas are not explicitly found in Paul’s writings. By the way, I do have to confess I don’t know exactly what you mean by your references to “my grandmother’s” state. Something that is obvious to you eludes me completely, sorry. First, I sincerely commend you for your step back from asserting apologetic influence on Mark S’ argument. Paul tries to persuade and explain here. It is inherently difficult for us to work out the intended purpose of any letter’s argumentative passages without the other side of the correspondence, but we can try, and no doubt we shall disagree. Paul’s God seems to have transformed a human being. That is, unlike like when Elijah and Elisha called on God to raise a few dead folk, transformed humans aren’t ever going to die again (a better deal than the Greco-Roman gods enjoy, also known as the competition). Folks who haven’t died yet (like the reader) won’t die ever (who else offers that with a straight face?). Under gentle but by no means certain assumptions about Paul’s readers and their interest in any of this, Paul’s Jesus would have been the first human-transform. That premise is one basis for a fair reader who acknowledges the obvious (that Paul’s Jesus lives off-planet, now and when Paul is writing) to appreciate the Guild side of the narrow HJ-in-Paul question (that Paul taught that his Jesus at one time lived and died on Earth). I don’t know of any unambiguous passage in the writings attributed to Paul that say so. In Galatians we read an ambiguous and problematic passage that says Jesus was born of a woman. If we take that passage as authentically Pauline and with a literal meaning then we still don’t have an assertion that Jesus live on earth. In other letters we have reason to believe that Paul was in some sort of dialogue with teachers who presented the kind of Christ figure we read about in the book of Revelation. And in Revelation we read that the ‘magical child’ born to a woman on earth was immediately snatched up into heaven. What part of 1 Corinthians 15 argues that Jesus was transformed from physical to spiritual? Paul’s entire argument is to explain how the two Adams represent two distinct bodies, one is physical, the other spiritual. The former dies and is then raised to be like the Second Adam’s body. Paul’s entire argument fails if the Second Adam was also a physical body at any point in time. Not the clearest assertion that the second man was never a man. It looks like a contrast between two men would look. I also reviewed verses 45-49, but the “missing verbs” there seem to be a usual sort of _to be_ ellipses. Do you have some problem with that, or find the omissions to be otherwise? I don’t spontaneously see anything there that denies Jesus an earthly career. Did I miss a further place? As it happens, I was discussing a different part of Paul’s entire argument, but the Adam component makes adequate sense if the second “man” is a human being. That is, suppose Jesus once had an ordinary body and now he’s moved on to something like what Adam mythically had in his second phase (after God breathed into a soil-form but before Adam got uppity): an indefinitely robust body. > What part of 1 Corinthians 15 argues that Jesus was transformed from physical to spiritual? Beats me. Paul discusses what the resurrection body is like (15:35-44 especially), and remarks that Jesus died and then was resurrected (e.g. 15:3-4). Jesus isn’t expected to die again, nor otherwise to get yet another body, nor, it would seem, could the body he’s now in have died. I conclude that _something_ about Jesus has changed. As Mark S mentioned, “physical” and “spiritual” carry modern connotations that are irrelevant to anything Paul argues. Mythical Adam changed twice (plus then he died); both his first and last (or last two) states were modern-sense physical, but distinct. His happy second state isn’t modern-sense spiritual. I conclude that these aren’t apt words for the distinction or change Paul describes. The “(that Paul taught that his Jesus at one time lived and died on Earth)” was intended to define the “Guild side.” It is also my own best estimate of what I read, but it is not something that I hold with the confidence that one associates with the Guild. As to born of a woman, Mel Brooks’ _Spaceballs_ depicts a nubile Jewess living in outer space. OK, maybe Mel stole the gag from _Revelation_. And maybe John stole it from Paul. Or maybe not. Indeed, Paul might have met some “space Jesus” people, but then again, maybe theirs is that other Jesus whom Paul didn’t teach, or still another such Jesus. Carrier made a mistake, I believe, in saying Jesus was crucified in “outer space”. The mistake was the anachronism: ancients did not have our modern concept. What they did have, though, was a clear acceptance of demons and beings of various kinds occupying the region between the earth and moon (and beyond) and where all sorts of activities were carried on and that were in many respects likewise found on earth. It is modern lack of awareness of the ancient mythical world that makes it so hard for many to accept some arguments proposing a mythical Jesus as the origin of Christianity. Your translation is wrong. The text says the first Adam was ‘a living soul’ (psuche) and the last Adam ‘a life-making spirit’ (pneuma) This can’t be used to make the contrast you want. There is nothing about nature (phusis) there. Thereafter both are used as adjectives of body. “Resurrection” is quite clearly a transition in a single body, from one condition (psuchikē) to another (pneumatikē). This is especially clear in the passage about those living at the time. They are bodies and they too are changed/altered. And Christ’s resurrection is supposed to be the *first case of this boldily alteration*, the one that triggers the general process. First, again, it’s soulish body, not physical body. It is clear in the text that if a body is pneumatic, it cannot die. It is only if it is soma psuchikon that it can die. If ‘Christ’ is soma pneumatikon at all times, then at no time can there be death and resurrection. http://biblehub.com/text/1_corinthians/15-45.htm is a pretty good subliteral translation. The first Adam ἐγένετο into a living soul, the second Adam [ἐγένετο] into life-making spirit. I can’t say I understand Paul, but ‘life making spirit’ is something that the second Adam *came to be*. Neil said “I believe, in saying Jesus was crucified in “outer space”. The mistake was the anachronism: ancients did not have our modern concept.” Of course Carrier didn’t use the anachronism for the ancients, he did it to give a modern view of when the ancients seemed to have placed Jesus’ crucifixion. He’s been criticized b/c that lacked nuance, but that criticism is a semantical-ambiguity fallacy, and he’s merely being accused of using a false metaphor. Dear Mr Horse, I don’t know why you think I am “accusing” Carrier. I am disagreeing with his use of the term. I know why he used it. I disagree with him. I believe it would have been more appropriate to stick with terms that unambiguously conveyed the ancient view of the cosmos. There is no need for the ugly language of “accusing” or suggesting I have ever been part of the let’s-kick-carrier bandwagon. I personal enjoy the way Carrier says things, especially “outer space”. Having been a member of a church that took things way too seriously and the fact that “scholars”/apologists can’t be trusted to present proper rebuttals, deliberate mocking using analogies that modern people are more likely to understand takes the wind out of their sails for the broader audience and the evangelicals know this because they try to hard to pretend to be apart from “The World”. There are several pseudo-academic scholars trying to put on a Carrier-like routine, but they just can’t pull it off because there’s no “there” behind their mocking attempts, they just look childish and ignorant with nothing to back it up. James McGrath and David Marshall are the ones I’m thinking of, who are like what Richard Carrier would look like if he were just a liar who knew nothing about Christianity outside what they learnt in Sunday school. Have you read what many mainstream scholars (not mythicists) find so odd about Paul’s silence on the life and teachings of Jesus? Your proof-texting raises more questions than it answers — and this question is raised by mainstream scholars and others. Once again, we are looking at ad hoc arguments — finding proof-texts or explanations that seem to do away with the problem. Sound method sets out little tests, proposals of what we would expect to find in the evidence if a hypothesis were true. What would we expect to find and not find in Paul’s letters if that were indeed true? I do not understand why you seem to attribute to mythicists questions and problems that are common to the mainstream scholarly community. William O. Walker Jr isn’t addressing mythicists or mythicism. He is raising a problem that has baffled many readers and scholars alike. I don’t fully understand (or I probably do, really) the obsession some people have with mythicism. Robert M. Price has argued that the Corinthian Creed which indicates atonement was an interpolation, see http://www.robertmprice.mindvendor.com/art_apocapp.htm , but Price’s arguments have never made any inroads with his academic peers. There are a number of common responses to Price on this point. First, he assumes that it is an interpolation when he has no manuscript support. Second, 1 Corinthians 15:3b-11 is not an interpolation. There are many Pauline phrases in the text such as in verse 6. It clearly seems that Paul has adapted the creedal material in his argument. Third, the mention of the apostles fits well with the context of the 1 Corinthians letter. Finally, there is no contradiction between Galatians 1 and 1 Corinthians 15. Galatians describes that Paul did not receive his gospel from man, but contextually Paul verifies his message with the Jerusalem council of Peter and James (see context of Galatians 1 and 2). Gerald O’Collins states that he knows no scholar who dates the creed after the mid 40’s. Wilckens states concerning the creed, “the material collected here indubitably goes back to the oldest phrase of all in the history of primitive Christianity.” Likewise, Tom Wright argues that the creed is “. . . stemming from a primitive tradition of the mid-thirties . . . .”20 So it is at least reasonable to conclude that the material in the creed predates Paul. Early Christians did a truly remarkable job of destroying all the evidence of a historical Jesus if there was any, and with all the effort the church put into exterminating heresy which included in particular the belief that Jesus was not a physical man, it would be ironic if there was any more evidence. Things like Secret Mark only affirm what we already know which is that the early Gospels were extremely transitory. Christians are negligent to acknowledge that while the gospels may be dated “early” we don’t actually have those early texts, we only have much later redactions. So for even the orthodoxy they did not “honestly” (ugh, not really) know that they were destroying other texts based on copies of texts which had been corrupted multiple times over. At best you could say that a historical man’s life was not Inspired by God enough to survive, but even if that were true then we would expect based on everything else someone to have redacted that to Make It So. The Gospels objectively weren’t built from a biography, they were built from prophecy. I am not using a translation. You come across as having very dogmatic views about what certain terms meant to Paul and you don’t sound as if you are open to the possibility you could be wrong. I have more to learn than you do. I can only encourage you to read more widely. Try to understand a range of points of view and how their proponents justify them. The ancient had a much wider view of concepts like “soul” and “body” than you seem to be prepared to admit. You bring in many assumptions without any basis in the relevant sources that I know of — such as which types of bodies can and cannot die, etc. Paul is quoting a passage from Genesis that speaks of a physical being created out of dust and having God breathe air into him. That is a “living soul”. Dust and breath/wind/air. The heavenly Adam or heavenly Man was not dust and breath (“a living soul”). These facts follow from *the structure of the passage* and don’t rest on assigning any one definite ancient meaning to any of the terms in it. * That (the bodies of) those resurrected are intrinsically immortal and unlike us who are mortal is present all over in the rabbinical tradition. On some accounts, the dead are pieced together as they were at the time of death, and then subjected to whatever the immortalizing transformation is. This fits well especially with Paul’s account of those living at the time, who don’t need to be pieced together again. Paul is quoting a passage from Genesis that speaks of a physical being created out of dust and having God breathe air into him. That is a “living soul”. Dust and breath/wind/air. That is what Genesis says a “living soul” is. Paul is quoting Genesis 2:7. Genesis also says fish and birds are “souls”. Same word. Jeremiah says souls hunger and thirst and can get intoxicated. Yes, I am completely familiar with the origin of the ‘living souls’ in a Genesis 1 & 2, as I already said; the references are contained in typical treatments of this passage. And I presuppose that ‘a living soul’ (‘a soulish body’ in the other lines) is an animate being, or animal, like a person in the shape and condition we are familiar with. The question is how any soulish body, like me, becomes a spiritish body (as it will in Paul’s understanding of pharisaical resurrection); and the relation of that process to Christ’s particular case in his resurrection — which you haven’t discussed. The passage requires that Christ was a ‘living soul’ or ‘soulish’ body – a terrestrial animal – and became a spiritish soul. Being a terrestrial animal is ‘historicity’. I have not discussed the resurrection because it is not part of Paul’s analogy of the two different Adams. He is discussing the form of body one has in the resurrection. In making that comparison he has no need to refer to the Heavenly Adam being resurrected. He is simply explaining that there are two Adams, one earthly with an earthly body (“living soul”) and the other heavenly with a heavenly body (“a life-giving spirit”). After the death of a child of the first Adam the person is raised with the body of the same stuff as the heavenly Adam. You are correct when you say you believe the passage “requires” a certain understanding and presupposition to make it say what you believe it is saying. If you remove your presupposition (your presupposition is necessary to make Paul’s passage work with the gospel idea of a resurrection) you have a much more coherent text. The dead are not somehow “changed” into another body. They die. Then they are raised a spirit body. But a terrestrial animal is historicity??? Probably most fictional characters in literature and legend have been “terrestrial”. Leprechaun’s are terrestrial; so are mermaids; and Androcles’ lion. So was Goliath, and Wonder Woman. 1 Cor 15 is an extended argument for resurrection – pharisaical resurrection – based on the given premise of the messiah’s resurrection. He thinks this is the first example, the beginning or inauguration of the pharisaical resurrection. Everything that follows is a part of that one argument. He has repeatedly said that his Christ was resurrected, and is proving that we will be *from this fact*, developing various consequences. The governing verb in the sentence is egeneto + eis. This suggests – what is proven anyway by the rest of the passage – that the “last Adam” wasn’t always ‘life giving spirit’ but *came to be* that. Yes, they come to be as the ‘last Adam’ *now* is — after his resurrection, which is the governing premise his hearers are supposed already to accept. The passage isn’t really about ‘stuff’. It happens in situ with those still living at the resurrection. It is a qualitative transformation from being internally such-as-to-die to being internally such-as-to-be-immortal. This alteration is imputed to Christ who had the quality of being such-as-to-die that Adam brought into the world. Of course once he is ‘heavenly’ he doesn’t have this property; it is an acquired characteristic, as we see from the fact that he died. The transformation of which Christ’s resurrection is the beginning is a harvest that seems to pertain to the whole ‘sublunary realm’ since death itself is supposed to be conquered. The whole sublunary world is subject to the process in Romans 8:18-25, groaning and giving birth. Again everything presupposes that his Christ was a chunk of this sublunary world, but is now transformed. That you think you can mention leprechauns shows you place no constraint on interpretation at all. Again, Paul believes that his Christ *was* a mortal being, contained in the world Adam brought death into, and has now ‘put on’ a property involving immortality – beginning thereby a much wider process. You equated “terrestriality” with “historicity”. I demonstrated that such a notion is without warrant. Historicity requires much more than that a figure have an earthly setting. Simple logic. I’m trying to keep you within the constraints of logic. You need to demonstrate how we know a person is historical — and simply saying they have an earthly setting doesn’t cut it. You don’t seem to be making a genuine attempt to understand what I am writing. Do you actually know what is the interpretation of the passage that I have been attempting to convey? Do you know what my core criticism of your interpretation is? Discussion only works when two people are genuinely trying to understand what each other is saying. A person can only be missing the point for so long before it must be seen as deliberate ignorance. Needless to say I didn’t see that particular subthread. The only argument against (past) terrestrial = historical that I can see in the thread above is based on leprechauns and Wonder Woman. It isn’t ‘simple logic.’ You could be thinking that there was something mortal/earthy/psychic in heaven, considered as a place, I guess, but it isn’t what you seem to be arguing, since you suppose Paul’s Christ is pneumatic and ‘uranic’ throughout. The way ancient people and modern people think about fantasy places isn’t really different. You could assume correctly that both groups perceive other dimensions/”outer space” as the same type of space as ours, merely “back stage”. God is right here with us all the time, he’s just back stage. You don’t have to take a rocket to get to “outer space”, it’s just back stage. Mark S — I have replied below, starting a new thread at the end of the comments page here. I do hope you read my comment. I honestly hope you don’t start arguing that Peter Parker was a historical person before he became Spiderman because that’s basically how this whole thread seems to be going from my perspective. The question is what Paul believes. Paul is the one weaving the web here. What he believed isn’t even in context. This is the same problem we have with non-believers who argue for historicity. What they believe isn’t in context either, they’re performing motivated reasoning. Historicists have something at stake in keeping Jesus historical. Neither Paul, other Christian authors, historicists, or the like care whether it makes any sense for a real, physical person to perform magic, only that suckers will dodge with you when you dodge the facts. Agreed. We will soon see that one man is earthly and the other heavenly. This is the beginning of his contrasting the two Adams. The concept of the Heavenly Adam or Man was not unique to Paul, as you probably know. Philo around the same time also writes about his understanding of this figure. Here the verbs are supplied by the translators. Some have it, “by a man came resurrection of the dead.” Literally, the sentence reads: “For since through a man death, also through a man resurrection of the dead.” The verbs usually inserted convey the sense of some recent event on earth. Yet the next verse, 22, actually points to the future: “So in Christ all will be brought to life…when he comes.” This removes any necessity in this passage to see the resurrection of humans as effected by a recent historical event; the ‘raising’ of Christ (verse 20) is simply a past event whose benefits are coming into effect in the present and future. The “last Adam” was, by contrast, a life-giving spirit. There is no “becoming” one thing after having been another in v. 45. The verse contains no allusions to a resurrection. Paul is simply contrasting the nature of the two Adams. I have attempted to point to the ancient conceptions of “spirit” beings but these ancient concepts appear to be irrelevant to Mark S.
Genesis 2 is about how Adam came into existence the first time and once and for all. He was made from the dust, not from a pre-existing substance or whatever. Mark S. has imputed a modern understanding of the word for “soul” in Gen. 2:7 and failed to grasp its meaning in the Second Temple period in which Paul wrote. If we avoid adding verbs to 1 Cor. 15 that derive from our assumption that Paul is writing about an event that appears in the gospels much later, and stick to Paul’s words and translate them in the context of both his argument and the world-view of his contemporaries, Paul is simply contrasting the natures of the two Adams. One Adam is made of earthly substance. The other Adam is made of heavenly substance. After an earthly seed dies, it is raised with a different nature or substance. After we die, we will be raised with a heavenly body. We are now in the form of Adam’s body; afterwards we shall have the body of the Heavenly Adam. According to Septuagint Genesis 2:7, Adam is first something made of earth (his first phase), upon which God breathes to animate him (his second phase). Nobody else starts in that first phase except Adam, neither in this myth nor in reality. It is one of Adam’s distinguishing and defining attributes. Paul refers directly to Adam’s earthen phase in 15:47, and again in the following verse, to describe Adam’s state before he was animated. > The “last Adam” was, by contrast, a life-giving spirit. I make the verb to be a parallel but not repeated egeneto, he became, aorist indicative. Earth-clod Adam became an animate being, never-clod Christ something even better. (The same figure of omitting the would-be repeated verb works in English). That’s verse 45, so yes, there is some becoming there. > That is what you conclude but it is not what Paul wrote. Cute, but it’s not your place to arbitrate. Paul wrote figuratively centuries ago in a now dead language, arguing with God only knows who about something ultimately ineffable. From one side of that discussion we are left to interpret his mental construct. You and I each have our best estimate of that, and different estimates. I understood Mark S’s point to be that the first stage was some form of pre-existence of the Adam. Wasn’t that the point of the Origen references and what Josephus said about the beliefs of the Pharisees re souls? The verb cannot not mean “becoming”(in the sense of conversion from one state to another) in this context but carries its more fundamental sense of “coming into existence”. Both Paul and Genesis are saying that Adam came into existence. He is defining Adam as the earthly being, not telling us that Adam somehow changed from one condition to another. I’m disappointed at the shift to the crude tone. It is not “arbitrating” to point out why I disagree with your position. You said you drew a certain conclusion from what Paul wrote. I pointed out, or attempted to, that I agree — that you have to arrive at your interpretation by drawing certain conclusions from what Paul wrote, because what Paul literally writes does not match what you believe about the resurrection and Jesus so you cannot understand it as it is written. You are in “good company”, though, because most translators of the passage have also introduced their gospel and Jesus resurrection assumptions into the passage and that’s how they read it, too. Paul is simply saying that there are two bodies: one of earth the other of heavenly matter. One comes from Adam, the other from the Heavenly Adam. If we put aside the historical Jesus and the gospel narratives of his resurrection right outside for a moment and just take Paul at his word, then there is nothing complicated at all about his point. It is banal in its simplicity. Paul’s point makes perfect sense on the assumption that he is not at all attempting to allude to, or that he has nowhere in mind, our gospel view of the resurrection of Jesus. That is, Paul’s point makes perfect sense if the Heavenly Man was and remains a heavenly man and was never a real incarnate son of the first earthly Adam. Most readers cannot imagine how a spirit being could have been crucified and resurrected unless he was the son of the earthly Adam at the time, but that’s because they are immersed in gospel presuppositions and even scoff, unfortunately, when someone tries to point to them the wider cosmic view and world of mythology and the spirit world that filled the understanding of both ancient Greeks and Jews. > I understood Mark S’s point to be that the first stage was some form of pre-existence of the Adam. Right, the syntax requires some pre-existence, whether as dirt or psyche or whatever. I agree with Paul the U. that ‘dirt’ is more likely, it fits better with the LXX; but Paul is so full of mystical readings that there are any number of possibilities. What suggests he might mean psuchē is just that he thematizes it in parallelism with the Christ case, whom he calls ‘a pneuma’ outright in saying that Christ was turned into a life-making pneuma. Again no one’s argument depended on this sentence, which is strange on any reading; granting your preferred reading does affect any argument and is consistent with all views. > Most readers cannot imagine how a spirit being could have been crucified and resurrected unless he was the son of the earthly Adam at the time, but that’s because they are immersed in gospel presuppositions and even scoff, unfortunately, when someone tries to point to them the wider cosmic view and world of mythology and the spirit world that filled the understanding of both ancient Greeks and Jews. Again, it isn’t ‘crucifixion’ that’s the problem, but DEATH. A soma pneumatikon can be hung up, fall down, and get up – “crucifixion” and “anastasis” – but for Paul it *cannot die*. –It happens that Paul has a theory of death, and how it is that we live in a world of death, and *what makes death possible* – in this passage and others. Your aim is to distract from the actual content of the passage. No baby is an inanimate object just before it takes that first breath. Adam was. That’s what’s on the page. > The verb cannot not mean “becoming”(in the sense of conversion from one state to another) in this context but carries its more fundamental sense of “coming into existence”. A dusty-clod became a living person. If you prefer, a living person came into existence in two steps: First God worked on some inanimate matter, then God breathed on it. There is no conflict between these two ideas, and there is no ambiguity about what happened in the story. You can translate a verb just as you like, but you can’t seriously expect to persuade that it _cannot_ mean “become” by citing a verse where a thing becomes a person. > He is defining Adam as the earthly being. You, Adam and I are earthly beings. Only one of us ever was earth. That’s Adam. The story, not Paul, defines Adam. > It is not “arbitrating” to point out why I disagree with your position. You recited as if of some settled fact, “it is not what Paul wrote.” What Paul wrote is what is in dispute. What is in dispute is not a settled fact. It’s not your place to make as if it were one. I understand your reading of the portion of Paul’s argument that refers to Adam. That it is your reading is peachy by me. Your thinking that you haven’t incorporated your own presuppositions, but that somebody who disagrees with you has incorporated theirs is not my problem to address. What Paul wrote is what is in dispute. This is where we disagree. We can see what Paul wrote. The dispute arises over what meaning we derive from what he wrote. If we begin with the belief that Paul was writing about X with certain ideas about X etc, then we will accept translations that give us that meaning, even though there are other very plausible (and even closer to the text as it stands) that give a quite different meaning if we set aside our assumptions that Paul “had” to be writing with the orthodox idea of Jesus and the crucifixion in mind. It is very difficult to read and simply accept Paul’s words “as they are” if we approach Paul with gospel presuppositions. > The dispute arises over what meaning we derive from what he wrote. That is what you conclude, but it is not the meaning I derive from what he wrote. You find much to say about other people’s “tone.” I won’t labor, then, how that differs from what you actually wrote. > It is very difficult to read and simply accept Paul’s words “as they are” if we approach Paul with gospel presuppositions. And since neither of us do, why would we discuss that? While we’re at it, what “gospel presupposition” would have anything to do with Adam becoming a man in two steps, which is what we’ve actually ended up discussing? Paul is simply explaining that there are two types of body for the benefit of those who ask how the dead could possibly live again. There is no statement of a change from flesh into spirit. The flesh dies. A new body from the heavenly Adam (the life-giving spirit) is given to the deceased. There is no process of change from one to the other: rather, one dies on earth and is replaced by something else from heaven. The comparison with the sun and moon and stars is apt given that these were understood to be angelic bodies. How do the dead rise? Well, there are two types of bodies, heavenly and earthly…. That’s how the dead rise. An earthly body dies (it decays/corrupts into death in the ground like a seed) then pop, it is raised up as a spirit body. The first Adam is a living soul, of earthly matter, from earth; the last Adam is a spirit, from heaven. Earthy bodies are earthy and heavenly bodies are heavenly. Right now we are earthy or bear the image of the earthy bodies, but in the resurrection we will bear the image of heavenly. That’s it. No tranformation from one type of body into another. The two bodies are quite distinct: one from earth and the other from heaven. The earthy one dies and then is resurrected with a spirit body instead. If I have added to Paul’s words there then I am sure you or someone will tell me. As for Adam being unique because only he was of dust and we are not (as I understand you to be saying) I don’t know how to reconcile that with Paul’s statement that he is explaining to his questioners how they will be resurrected, with “as [is] the earthy, such [are] also the earthy”. Paul is answering the question that asked how the dead are raised. He explains that their earthy bodies die; they are replaced with spirit bodies. Nowhere in this explanation is there any suggestion that the heavenly Adam ever became a fleshly body. It is irrelevant to the argument whether we take a body-swapping account of Pauline resurrection like Engberg-Pederson, Bultmann and you – or some other transformational account like the one Paul the U and I were considering. The point is Paul’s Christ died. On the body-swapping account – given everything else Paul says about the nature of death – his Christ at some point ‘had’ the earthy kind of body, but then body-swapped. entails that ‘it’ was a body when it was sown, and thus that ‘it’ is a body. So some body is raised a spiritual body. The syntax forces us to say: ‘it’ *was* psychic and *is* spiritual. In this sentence Paul isn’t (just) saying that *the person* first ‘has’ a psychic body, then a spiritual body. The ‘it’ isn’t the person, except insofar as (human) persons simply are bodies, as I think he also pretty much believes. (Again, I would *love* to know where you are getting *natural* from, no such expression appears in the text; it is a transparently apologetic device). to mean that there are two men, a sick man and healthy man. This entails that a body which was earthy is later a ‘spirit body’. This is how pronouns work, they refer back to the prior subject. The expression ‘spirit body’ btw nowhere appears, spirit just occurs adjectivally as in ‘soma pneumatikon’. It is a quality not a substantive. The one place where ‘spirit’ occurs non-adjectivally is 15:45 “a life-making spirit”, maybe I’m missing another. I guess you prefer it because you think it enforces the body-swapping view, but you mysteriously avoid the strictly parallel expression for our current status which would be as “soul bodies”. Note that the fundamental idea in rise/ἐγείρω is moving from prostrate to upright, or from seated to standing, and so on. That is, it involves a redistribution of the parts of the thing, the same thing. That is, it involves the continuity of a *spatially extended and space filling thing* – which is what is meant by ‘body’ . It is similar with anastasis. – 2) a qualitative alteration in the result. their splendor shall be glorified in changes, and the form of their face shall be turned into the light of their beauty, that they may be able to acquire and receive the world which does not die, which is then promised to them. The pseudonymous Hebrew writer seems to have attended the same pharasaical school Paul did, or maybe the one across the street in Jerusalem. Really, I don’t begrudge you your reading, nor grieve that yours differs from mine. However, we are now stuck, and have been for a while. I know I’ve had my say. Thank you for the opportunity. If you have more to add about this, then it’s your bandwidth. 1 Corinthians 9:1 seems to be a little contrary to 1 Corinthians 15:6. 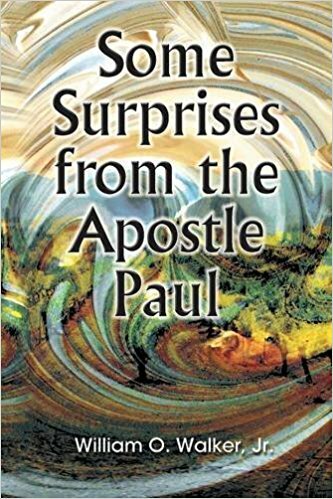 On the one hand, we seem to have Paul saying that seeing the risen Christ was one of the hallmarks and special gifts from God of being selected to being an apostle (“Am I not an apostle? Have I not seen Jesus our Lord? ), while 1 Corinthians 15:6 says “everyone” was seeing the risen Jesus (He appeared to more than five hundred brothers at once)! Perhaps one of the passages is interpolated? It isn’t clear that the rarity of sightings is an issue at 1 Corinthians 9:1. Paul’s situating himself among the apostles, a small fairly well-defined group who’ve all seen Jesus. He’s asking the same or nearly the same question twice (parallel to “Am I not allowed to vote? Have I not registered at city hall?”). He’s doing that within a string of questions whose expected answers are all “yes!” That’s rhetorical craftwork, IMO. Other views are possible, as always. But thousands of people would have seen Jesus over his lifetime (if he existed), so why would seeing him be a determining trait of being an apostle? An apostle as such is somebody like a messenger or emissary. I think Paul’s use of the word as a status or title entails the risen Jesus having given the apostle a missionary errand in person. Lord Jesus appears to you _and_ commissions you. That Paul sees this as a distinguished, top-ranking status is from 1 Corinthians 12:28-29. If so (and if I may answer your other inquiry here), there wouldn’t be a mismatch between 9:1 and 15:6. That said, I am sure you know that some people do believe that the “creed” in chapter 15 is interpolated, improved, or both. Aside: That Paul thinks he’s “an apostle” (top status or title) doesn’t mean the others agree. His question in 9:1 may not be entirely “rhetorical.” The in-group term “apostle” may well have had a connotation like “earliest adopter,” and Paul wasn’t among the earliest. He is playing catch-up (always, IMO). Needless to say I didn’t see that particular subthread. The point about the verbs changes everything, doesn’t it. Your argument has been based entirely upon an English translation that introduces gospel presuppositions and does not inform us of the actual wording of the original text. The only argument against (past) terrestrial = historical that I can see in the thread above is based on leprechauns and Wonder Woman. It isn’t ‘simple logic.’ You could be thinking that there was something mortal/earthy/psychic in heaven, considered as a place, I guess, but it isn’t what you seem to be arguing, since you suppose Paul’s Christ is pneumatic and ‘uranic’ throughout. c) Therefore Peter Parker is historical. I was attempting to point out that it is not a valid logical argument to say that because a figure is terrestrial he must therefore be historical. Put in those terms, the argument was emphatically from ‘all terrestrial entities are historical’, which makes the above valid in Barbara. But since you also seem not to understand how operate in an intensional context, we can more explicitly write ‘if Paul believed Jesus was ever a terrestrial entity, he believed Jesus was a historical entity’- with the conclusion being ‘Paul believed Jesus was a historical entity’. The argument was throughout about what Paul believed. It’s moot though; you are well aware that ‘Paul believed Jesus was once a terrestrial entity’ is what you must deny. > The point about the verbs changes everything, doesn’t it. http://vridar.org/2017/05/29/3-common-and-1-surprising-reason-for-pauls-silence-on-the-historical-jesus/#comment-82082 where he says ‘As it happens, I was discussing a different part of Paul’s entire argument, …” He later says “Paul discusses what the resurrection body is like (15:35-44 especially), and remarks that Jesus died and then was resurrected (e.g. 15:3-4)…I conclude that _something_ about Jesus has changed.” It was pretty much the same in my case, was using 15:13, 15:23 and expecially 51-4 on those still living at the time of the pharisaical resurrection. In any case 15:21 or 15:45 don’t come into the argument. 15:45 is bizarre in any case since it entails, deleting adjectives – conjunction elimination for logicians like you – that Adam was a soul and Jesus a spirit. It’s a matter of indifference but in fact I think 15:24 does entail that Adam *became* a ‘living soul’ and somehow pre-existed, whether as dust or as not-yet-living ‘soul.’ The latter is possible since, as I said, the Greek literally licenses the inference to “Adam was a soul” however that sentence is understood. There are a variety of mystical possibilities, since as we know there was an infinite amount of reflection of the reasons for the duplication of the creation of ‘man’ in Genesis 2. In Genesis, *Sarah* “became my wife”; in Lamentations, *the children* “became meat”; in Acts *Theudas’ group* “became nothing”, “came to nothing”, i.e. disperse; in 1 Thess *our work* “becomes empty/vain” Maybe the examples are just badly chosen, but the L&S’s translation “turn into” can’t be an accident. Paul’s sentence is quite opaque in any case. Believers in “outer space” regard events which occur in outer space as historical, otherwise you would be assuming that nothing of any interest ever takes place in the heavens regardless of who is up there. They may not have the same level of access to such “history”, but it would be equivalent to us to a behind the scenes documentary on a theatrical production, since for all intents and purposes credulous people can’t distinguish fiction from reality. As I said above, the question is *whether Paul thought his Christ was ever terrestrial, earthly, ‘psychic’ etc. * There was a genuine dispute about this, to which you have had, as far as I can see, nothing whatever to add – except a sophism which required you to affirm outright and in your own person that ‘Peter Parker’ was terrestrial. Guess what, he wasn’t, he’s a fictional character. *In the story* he was terrestrial, yes. Similarly, *in the story*, Parker was a historical being *in /exactly/ your or my or Godfrey’s sense*. For reasons you seem incapable of grasping, Godfrey knows quite well that he must deny that *in Paul’s account*, Jesus was once a terrestrial, earthly human. Nothing you have said had anything to do with that. You don’t seem to have any interest in the interpretation of Paul’s texts or 2nd T Judaism generally. I guess you are interested in proving the falsehood of Christianity, but from my point of view and that of secular people generally, this was decided centuries ago by the enlightenment. Whether it is true or false, ‘mythicism’ has nothing to contribute to this critique. If it is true it contributes to the interpretation of Paul and the understanding of the possibilities of 2nd T Judaism. Why you pretend to be interested in those topics I don’t know. If you think that I believe that Peter Parker was a historical person, further discussion with you is impossible because you need to be institutionalized for your own protection. From my point of view, half of Paul’s letters are outright forgeries and those that aren’t are redacted to the point that it’s impossible for anyone to know the original intent. I have always interpreted interpretation itself to imply motivated reasoning. Even and especially when it comes to something like the US constitution, which is a relatively recent document without any redaction, it’s difficult to genuinely interpret but anyone who is certain that their interpretation of original intent over-rides modern context we can be sure is lying. The problem is most people have absolutely no idea what it was like to live in the first century. Most people were illiterate, so fooling a majority of the population was much easier. “Animal Farm” is the appropriate reference material for understanding any and all Scripture. I didn’t say you believed it, but in fact you represented me as affirming that Jesus was ‘historical’, when I was reasoning about what Paul was saying. Every sentence was about Paul’s mind and nothing about the reality outside it. None of the authentic letters of Paul are forgeries, that’s what ‘authentic’ means. And in the present discussion we are of course only concerned with the authentic letters, which belong to the literature of second temple Judaism – and not the others which belong to the developed ‘Christian’ literature of the 2nd century (I think). That other letters were attached to Paul’s in the 2nd c. has nothing whatever to do with Paul and his actual teaching. Similarly, that other padded copycat “gospels” were written after Mark tells us nothing about Mark and its relation to reality (whatever it may be). These are actual letters that were in the mid-1st c. They are themselves facts of history which tell us something about their author, the period and so on. Of course what they say is mostly febrile apocalyptic-messianic pharisaism, and we know it is not true. But there is no similarity to “Animal Farm”. Of course there are interpolations and other kinds of damage. You are affirming that the character of Paul is unhinged, because even in his time people understood the difference between fictional and historical characters, yet in spite of outright direction to deceive he does not make this point to his readers because it would spell certain doom for Christianity. Whether any of the letters of Paul are authentic or forgeries is a matter of scholarly concensus not absolute fact. To date none of the letters have been discarded from canon and all of the letters have been redacted to indeterminate degree. Not one of the letters can be regarded with certainty as written in Paul’s hand, and while I read you arguing the use of a single word you have no idea if that word was changed at any point in the past. Again, Mark as we have it now has definitely been redacted as Neil mentioned the reference to Secret Mark. Even though consensus is against Secret Mark, the insertions do fill in discontinuities in the text we have, and there are even lots of other cases just like that. So “authenticity” is virtually meaningless when talking about Scripture. We don’t have any authentic copies at all. At best we can only argue about the motives of the last person to edit a particular passage. Underlying this argument is the real heart of the matter though: true believers need the consensus to be that these documents are authentic for the case that Jesus was historical on the basis of being an ordinary man, even though they don’t believe he was an ordinary man at all, because it’s fundamental that Jesus existed in order to argue that he had any effect on the world at all. This is actually why the Pauline version did not survive on its own. There is no converse of this position though, all those who argue against historicity receive accusations which make no sense, it doesn’t matter whether Jesus existed bodily or not to argue that he was not a God-man nor performed miracles. So for all the gnostic cults their problem was the same as ours: everyone knew the Other Gods came down and raped people. You can’t compete with that, so Jesus had to come down. All of this would be moot if there were no believers, but people like me are still interested because of what the motives of the writers and redactors say about human nature and what the church needed to do to itself to survive. I’m just as interested in other religions for the same reason. The same thing happens if you argue with a Hindu: they manipulate us to get us caught up in theological details to drag the argument away from that which is actually precious to them. I don’t know if you know what “Animal Farm” is. It’s a lesson that even literate people, but especially illiterate people can be fooled, that documents can be changed and the next day true believers will accept the new version without question. Illiterate people have no choice but to accept what they are told The Book says. Even today most fundamentalist Christians do not read their own book. [b](We know better now)[/b], even the animals have a “living spirit”. And material Adam #3 is dead, and like the material dead will get a heavenly spirit. I have bowed out of discussions that involve the question whether or not Paul had some idea of a two-stage creation of the earthly Adam. Until I see some evidence for such ideas extant in that day I cannot see the relevance of such an interpretation.